Are e-cigarettes safe? The shocking truth! If you’re like me, when you first heard of the electronic cigarette you immediately wondered what was wrong with it. In fact, it was a fortunate comment left by a researcher, now a good friend, in the very very early days of this blog which reassured me (and lead to our Interviews with Scientists series). I think I have learnt a lot about the safety of electronic cigarette since then. Most of this information is on our website or blog somewhere, but I’ve tried to bring it together in one post. If you are new to e-cigarettes, hopefully this will answer your questions and fears – and if you’re not new, let me know if I am missing anything! Anti-smoking activists like to highlight the dramatic use of ingredients found in tobacco cigarette smoke. Hydrogen cyanide, for example, was used in Nazi death camps, while another, formaldehyde, has been used to preserve corpses). However, it is the way you use tobacco cigarettes which cause the problem. When you burn tobacco, you produce smoke. As the smoke cools down, it produces both tar and hundreds of chemicals. Indeed, according to tobacco harm reduction experts, we have yet to identify many of the chemicals in cigarette smoke. We do know that dozens of them are carcinogenic. Fortunately, and in contrast to tobacco cigs, there’s no combustion with e-cigs. In contrast, and after a number of analyses, we know exactly what is in electronic cigarettes. The principal ingredient is propylene glycol, which is used in dozens of applications, including medicine, asthma inhalers, cosmetics, foods, to sterilise drinking water, in air-conditioners – and to produce stage smoke! Vegetable Glycerine has also been analysed by scientists, and considered safe for inhalation. Source: Electronic Cigarettes as a harm reduction strategy for tobacco control: A step forward or a repeat of past mistakes? What Do Scientists Think About The Electric Cigarette? Scientists we have spoken to have generally said that while not safe in absolute terms, electronic cigarettes are a lot safer for you than cigarettes. Rather than the unattainable standard of ‘safe’ we should be thinking in terms of ‘safer’…. Despite the risks associated with soccer, I would, for instance, prefer my children play soccer rather than play with live hand grenades. There’s no doubt it can save many lives and hundreds of millions of pounds. 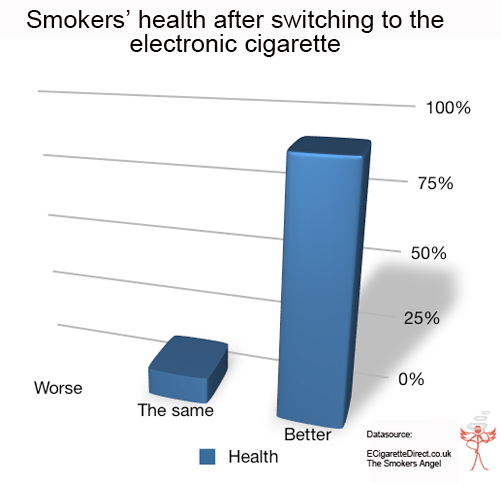 Are There Short Term Health Benefits With Electronic Cigarettes? 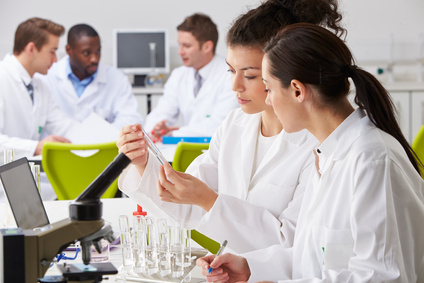 What we know about electronic cigarettes is based on science, and analyses of the ingredients. As the devices have been used for less than 10 years, we don’t have empirical evidence of the longer term effect of e-cigarettes. It’s a different matter for short term effects, though. You can read an academic summary of the survey here: E Cigarettes as Potential Tobacco Harm Reduction Projects. While we are not able to watch a control group for 40 years to see what the effect of e-cigarettes has over the long term, there is a large and growing body of studies which suggests that e-cigarettes are vastly safer than tobacco cigarettes. One study focussed on nicotine inhalation. A 1996 study saw scientists putting rats in a chamber and pumping in nicotine for 20 hours a day, 5 days a week. After two years, the rats were still perfectly healthy. The only side effect noticed was some slight weight loss. One World Health Organisation expert wanted to test the effect of vaping on bystanders. He did so by testing the white blood cells in in their blood. Smoking causes an increase in white blood cells, which are produced to counter the damage caused by cigarette smoke. The expert found that there was no increase in white blood cells in either smokers OR in vaper’s blood streams. A 2012 study by expert Konstantinos Farsalinos found that vaping had no acute effects on cardiac function, and only very slight effects on blood pressure and heart rate. Dr Farsalinos discussed these results with us here. We also conducted our own survey of a thousand vapers to see how vaping effected their lungs. Check out the results here! Because of space, we have only listed a fraction of the studies conducted here. For a fuller list, see this post on Ecig Alternative, the site ECigarette Research or this PDF by the Consumer Advocates for Smoke Free Alternatives Association. So Are E-Cigarettes Safe or Dangerous? No, e-cigarettes are not safe or healthy. At least, not in absolute terms. 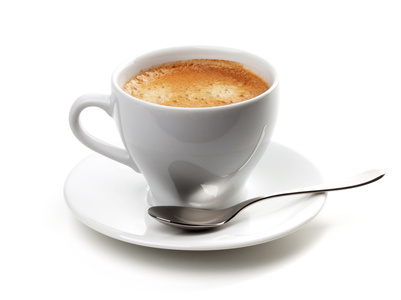 Scientists estimate that they carry around 1-2% of the risk of smoking, which is about the same health risk you get from drinking a cup of coffee. They are, however, an awful lot safer for you than regular cigarettes. So what’s the shocking truth? The shocking truth is that despite the fact that e-cigarettes have the ability to save your life – as well as millions of others – they do not have the support they deserve. In New Zealand e-cigarettes containing nicotine are banned. Although the government admits they are safer than cigarettes, they worry it could affect their official policy of ‘denormalising’ smokers. In the Middle East the device is banned, with press stories claiming the device contains 100 or more times as much nicotine as a regular cigarette. While the device is legal in the US, anti-smoking organisations are financed by pharmaceutical companies selling competing nicotine products to campaign against the device. And the EU commission is currently trying to ban the e-cigarette, with one MEP highlighting the loss of tax revenue caused by the popularity of the e-cigarette. Interested in e-cigarettes? Check out The Smoker’s Angel range! Great info, I didn’t know ecigarettes were banned in New Zealand. Do you know if the nicotine patches also contain the same or similar ingredients in them as the e-cigs do? Hi Glen, Sorry, I missed your comment! I am not an expert, but interestingly the level of tobacco specific nitrosamines is lower in electronic cigarettes than in nicotine patches. Has anyone seen or tried the Smoke mate pro lung e cigarette? It claims that not only is it unharmful, but it is actually good for you and can reverse the damage cigarettes do! I gave up smoking 8 years and 4 months ago but I still miss the cigs so much & would love to try these, however I have recently discovered that I may have done irreprable damage to my lungs when I smoked and have to go for a lung capacity test next week so dont want to risk believing it to find out its false. They do have FDA approval so surely that means something. I would love to hear everyones thoughts. 1. The e-cig is not actually good for you – it is just vastly better than smoking. 2. The FDA have not approved any e-cigarettes, and if they did they would not allow the claim to be made it is healthy in an absolute sense. I’d steer clear of this company. 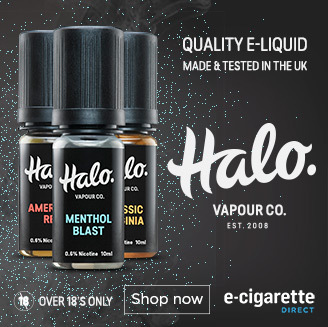 If they are making claims like this, what else are they doing – and can you trust them to test their e-liquid properly? What e-cig are you using? I’ve never know of a disposable or a cartridge that last a month. I have been a smoker for 40 years. The last 3 years of smoking I was on 40 a day. I gave up 2 1/2 years ago and now am on the e-cig.I could not touch another real cigerette now, in fact, I hate the smell of them. I’m, and my GF, a smoker for 10+ years. We agree that we are not addicted to nicotine.,… we just like the art of smoking. We tried an E-Cig (Non nicotine, in Canada) and we felt like our lives just changed for the better … for ever. I can’t stop smoking, I have heart palpitations and shortness of breath. E-Cig is the only thing that keeps me from smoking tobacco. My health is much better now. just got an e-lite ecig, im 27 and have smoked for the last 12 years, i smoke around 25 a day, got my ecig at 1pm today and its now 11.36pm and ive not touched a real cig and i wasnt even planning on quiting till the start of next month but im confident i have already started due to this ecig. Excellent product if the government try making a fortune out of this product i will know for sure the world is ruled by selfish assholes. I purchased an e cig kit only yesterday having seen my uncle die of lung cancer and seen photos of people wired up days before dying, i had tried patches which were a waste of time. Ive been off cigs for 12 weeks now, today I felt a real urge to buy a packet…… But I bought a dispossible e cig …. Best thing I’ve bought yet… Fantastic, It did feel strange seeing the smoke from a plastic ciggy, but I’m not smelly or out of breath…. I feel great not smoking. Pingback: Diabetes and Electronic Cigarette: Opinions from an expert. Not a a reAl cig fir 4 weeks now , the e cigs are the best thing that’s happened to this country , hopefully many more people will follow suit and try them out, had my doubts and thought it’s just another rip off in the shops but can’t fault them . If your reading this post and are in doubt , go on just buy 1, you won’t be disappointed . Thanks for the comment, Jim, glad it is working for you. I have been smoking for last 20 year but i couldn’t stop the cigarette. After having e-cigarette now i feeling better and may health is also good. I’ve been smoking since I was 16 and I’ve just turned 40 a few weeks ago. My sister sent me the e-lites cigarrette kit as a birthday present. It’s probably the most kindest and thoughtful gift someone has ever given me. Going from 20 Marlboro Lights per day to e-lites has been fantastic. Like others have already stated, I no longer smell, I feel much healthier, I sleep better and it’s half the cost! Also I have noticed that I’m smoking less so maybe one day I can also give up e-lites? regardless of what people say, it’s got to be better than smoking a real cigi. Oh and once you’ve been smoking these e-lites you really begin to detest the smell of real cigarrettes. My 2 cents worth. Are you making up your own question and answers could you tell me what liquid you can provid so I can stop surly ,ya, it seems people like to use the e-cig but is it wrong to want to use it as an aid to stopping everything surly we have that choice ??? I was a chain smoker since last 16 years. I got my e-cig kit in 2011. The moment I tried it, I knew that I am rid of regular cigarette. It’s been 4 months I am using e-cig and I can really feel the difference health wise. Today, I don’t even think of smoking regular cigarette. E-cig is a great option for smokers who are fed up of smoking. That’s fantastic, Sue, I hope it continues to work for you! Pingback: Why Do Electronic Cigarettes Work? Seven users explain why vaping worked for them. I’m 27 and stopped smoking instantly, using the e-cigaret. I’ve been on the e-cig for bout11 months now and regulated from 24mg down to 12mg atm. The e-cigaret is the absolute most brilliant idea, even astmatics and people with similar lungproblems, have the opportunity to stop smoking and start living again. After thirtyfive years of smoking, i didnt smoke for one whole day! Thats unbelievable, thanks to the e-sig. i im a severe agoraphobic. Quitting cigarettes is very difficult for people with a mental illness. how often do you see the most disadvantaged members of society smoking like chimneys? Alot of psychiatric hospitals have now banned smoking which dosen’t help with patient compliance. In Australia you’re paying about $15 dollars per packet of 20,s. If we could get people on pensions to use ecigs they’d save alot of money and of course reduce their need of medical intervention in later life. generally smokers going through the quitting process wouldn’t have problems like weight gain and the anger and depression that nicotine withdrawl causes. There wouldn’t be a decrease in work performance either. also we wouldn’t incur the wrath of non smokers who can smell it on our clothes. you can smell cigarette smoke from hundreds of meters away. For myself im now getting more oxygen, my sense of smell has improved, just about all the benefits of ceasing tobacco use are occurring, yet i have the luxury of getting my nicotine through the ecig. been a smoker for 30 years. Been vaping for a month now and no desire for a analog cig at all. I had one about 2 weeks ago but didnt even finish it, tasted like shite. These e-cigs are great for people like me who find not smoking very difficult. Ive also saved a lot of money already and I feel better. I have no doubt in my mind that e-cigs are “safer” but I’ve also been hearing that nicotine levels in some e-cigs are much higher then regular cigs. Any insight on this topic? You can choose what level of nicotine you want in an electronic cigarette, and it is possible to get one with a higher nicotine content than the average cigarette. However, bear in mind that you absorb more nicotine from a regular cigarette than you do from an electronic cigarette, so you generally need to go a strength higher to actually get the same amount of nicotine into your blood stream. I have been using the e-cig eGoCE4 since 12th June 2013. It is the best thing i have ever done! Believe it or not i was 11 years old when i started smoking and i am now 53! I sleep alot better now as i was waking myself up coughing, i feel 100% better in myself! I can’t believe how much better i feel in only just over 3 weeks. If anyone is thinking they should give up smoking, i highly recommend trying the eGoCE4 with the many flavours you can buy. My initial outlay for this cost me less than buying 100 normal fags!! The CE4s are great, but we are moving our products towards CE4s (the Smoker’s Halo Ultra and Tank-1 kits come with CE5 clearomisers). CE5’s can be stripped down and cleaned and come with replaceable atomisers and wicks. I can tell you the cause for campaigning against the electronic cigarrettes, is because thats money out of the Pharmaceutical pockets. Hi. I’m only now getting involved in electronic cigarettes as I’ve always been sceptical of replacing one delivery means for another whilst still using the same drug. 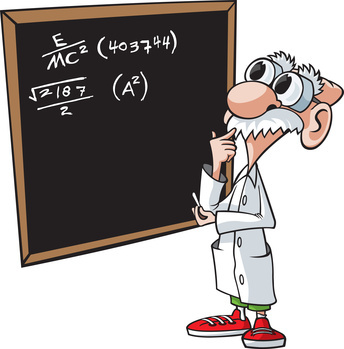 However the more I read, the more I realise removing the combustion from the equation is a great place to start thinking about minimising the harms I’m doing to myself through smoking. So I’ve set up a website (https://electronic-cigarett.es) and I intend to learn as much as I can and then write about it on my own blog. In the meantime, I’ll be checking in here on ecigarettedirect.co.uk. Thanks for creating a great resource. It’s early days on the nicofresh starter clearomiser and I’m not enjoying it… The taste isn’t there, the ‘smoke’ isn’t thick and just hurts my throat to enhale and exhale. Any idea on what’s going on? Hi Ryan, I have never heard of the nicofresh clearomiser, I am afraid! If you are not getting enough vapour, then you probably need a different model. Might first be worth checking with the retailer to see if there is a problem with the model you have, and that you are using it correctly. Hurting your throat could be down to the eliquid you are using. Try a different eliquid, or try one made with vegetable glycerine (vg) rather than with propylene glycol (pg) like this one: https://www.ecigarettedirect.co.uk/virginia-vg-e-liquid.html , as some people are allergic to pg. im wondering what effect nicotine actually has on people and if its maybe psychological? I dont think anyone smokes 1 cigarette and feels the nicotine and thinks ‘Thats the correct amount of nicotine i need’. When I smoked cigarettes, i dont think i felt any actual effect from nicotine. It was just for the habbit of getting up and doing something. Im pretty sure that a few weeks ago when ordering a new batch of liquids, I whizzed through really quickly and forgot to choose the strength and i got sent the default 0mg, and never even noticed until i went to order the next lot and realised there was a drop down box for the stength. Anyway, ive been vaping for a year now, and im proud of myself. Seamlessly made the switch, and never wanted to go back. Cant stand the smell of tobacco now. Nothings been as effective as ecigs. Unfortunately, a lot of people will and still do view vaping as the same thing as smoking. Even the smartest of people that have studied science remain oblivious to this concept. But no matter, we do what we have to do make our own lives better. I always say, if you have a broke leg don’t expect for fast healing results without some crutches involved. Same thing for quitting smoking. Nocotine patches, gum ect they don’t work. And when they do, its only temporary. I tried them. Been smoking since I was 10 years old am now 65 and smoked nearly 60 a day last 15 years hand rolled because of costs. Stopped 5 days ago went cold turkey 3 days later bought my fist e-cig never looked back since. Best thing I ever did and finally got rid of the cigs at last compared to other stop smoking aids (they never worked for me ) e-cigs have first time I tried them. Glad to hear you are breathing better, would be interested to see if you notice any difference after a month. I can tell you from my own experience, there is a huge difference. You smell better. Not only yourself but the little things around. Good or bad. lol. Food tastes better. That long mile walk doesn’t seem like 10 miles. Long time smoker, 2 1/2 years stinky free. Just like lots of posts here…. But have you thought about the costs? I usually spent between $200 and $250 A MONTH on analogs. In those two and a half years I have spent about $800.00. I have a nice selection of mods, tanks, batteries, and assorted juices. HI ALL, I HAVE BEEN SMOKING 4 40 YEARS AND NOW BEEN ON ECIGS 4 ABOUT A MONTH AND ENJOY THEM VERY MUCH. ONLY THING IS I TRIED BLOWING THE VAPOUR AT A SMOKE DETECTOR AND IT SET IT OFF ANY BODY HAVE A REASON Y THIS SHOULD HAPPEN IF THE VAPOUR IS NOT SMOKE THANKS SIMON. 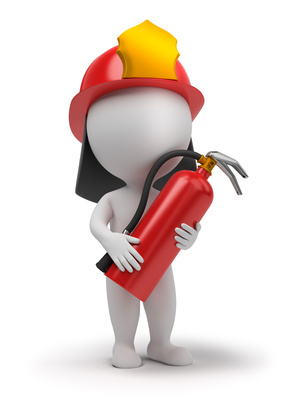 Essentially, it seems to depend on the type of smoke alarm. It’s a really interesting question. I will look into it some more! I will tell you as a heads up. It is still illegal to smoke on airplanes though. Depends on the type of detector..Some have optical sensors and thick vapour will definitely set it off..
Vapour blown directly at any detector will also set it off. I think you know more about it than me!
. it doesnt surprice me that the eu want them band so they an the govement can coin in tax off cigs. who wants the eu anyway how long will it be before where hamerd on tax on ecigs its about time for the eu to go an the goverment to stop robing us. I am still not sure where the EU stands. The UK Government Nudge Group is very pro-ecigs, and the Health Minister seems to have done an about term. However, the treat to tax has been mentioned in the EU gov: see https://www.ecigarettedirect.co.uk/ashtray-blog/2013/05/e-cigarettes-tobacco-tax.html, while the Welsh government want to ban ecigs in public. I quit smoking cigs as could hardly breath, it was horrible. I switched to pipes (originally) and now smoke ecigs most of the time and pipes occasionally (especially when camping :)…… You’ve gotta have some pleasure in this barmy nanny state. Has your breathing improved, Rich? My lung consultant suggested I try e-cigs three years ago,he said they could add ten years to my life.Since not smoking cigarettes my lungs and breathing are so much better. I don’t get out of breath so quickly and this has made exercise so much easier ,my lungs are less tight and I can see myself getting fitter by the day.I can honestly say this change has had a positive effect on many aspects of my life.I have a lot of scar tissue in my lungs from very severe infection which led to me being in a coma for a month.I had given up hope of ever recovering my health but now I have hope again and that is priceless. Très bon article sur la cigarette électronique. I stopped smoking for nearly a year by using an e cig, the only problem was I also stopped been able to sleep within a week of using the e cig. I was getting 1 -2 hours sleep a night and never able to get back to sleep. I put the sleep problem down to the e cig because that was the only change I’d made in my life at the time. It was horrendous. I ended up going off sick from work for 3 months, suffering with depression because of the lack of sleep. Has anyone else experienced any sleep issues? It was a major disappointment as I never craved a proper cig at all when using the e cig. Hi Suzanne, I think that’s the first time I have heard of a lack of sleep from an e-cig. Did you consult with a doctor? About 4 years ago I ended up in a coma for a month because I had double pneumonia and when I left hospital I knew I had to stop smoking and give my lungs a better defence against all these bugs. My brother commented one day on a e-cig exploding and he was saying that it was really dangerous so I had to go do some research to tell him he was wrong, but instead of finding loads of reports of exploding batteries I discovered the vaping community, bought my first ego, and haven’t looked back. I started vaping on 1.8ml of nicotine and now I’m down to 0.3ml, although part of having to reduce the amount of nicotine was I got into sub-ohm vaping and you can’t use high nicotine doses when sub-ohming. At first I would smoke a roll up every morning but eventually stopped the cigs all together and now I’m cig free all the way and I’m healthier than I was before. Smokers, you are being lied to!